Background: Social science perspectives on Antarctica are limited in scope and quantity. In the fields of political science, international relations, legal studies and public policy, there is ample literature on subjects such as governance without government, deliberative democracy, legal post-sovereignty and global democracy, yet research that applies these themes innovatively to the continent’s governing arrangements, and their long-term significance for democracy, is virtually non-existent. Antarctica remains an unexplored political space. This is unfortunate, and needs to be remedied. One way of doing so is to recognise that since 1945, when there were only a dozen functioning democracies left on our planet, several major transformations have contributed to the global redefinition of the ethos, language and institutional dynamics of democracy as we now know it. The background starting point of this symposium is that political developments in Antarctica are part of this unfinished long-term democratic trend. Although competitive political parties, elections, parliaments and other familiar institutions of representative democracy are largely absent from the continent, it resembles a laboratory in which important political experiments have been taking place that are of fundamental relevance for democracy, and its future. Objectives: The symposium will partly serve as a mapping exercise, as an effort to grasp the political history of the continent, and what has so far been built. The symposium will go further, by posing a vital question: are the political and legal arrangements of Antarctica relevant for the way we understand present-day democracy and imagine its future? Contributors to the symposium will address a string of fascinating subsidiary questions: is Antarctica a new type of polity, one defined by variously-sized power-sharing mechanisms that `enfranchise’ the biosphere through decisions that are subject to public scrutiny and the voting rights of states? What exactly does `enfranchising’ the biosphere mean, or entail in practice? In this connection, how politically important are current efforts to develop the Earth system sciences? In their stewardship of nature, are the continent’s scientists contributing to the redefinition and `democratisation’ of expertise? Is Antarctica perhaps the first continent to go beyond the modern doctrine of sovereign territoriality and, if so, does this fact openly challenge the widespread presumption that sovereign territorial states are the appropriate `home’ of democracy? What is the long-term political significance of Antarctica’s key decision making forum (the ATCM)? Is it a parliament? And how important are unelected and extra-parliamentary representatives (such as ATSOC and the Sea Shepherds) in the politics and government of Antarctica? Symposium Themes: Discussions will target five broad empirical trends. First: the original quest to conquer and `tame’ the continent has been replaced by widespread awareness that humans are stewards of a fragile environment requiring protection and deserving of political representation in human affairs. Supported by the Madrid Protocol, some scientists even insist that Antarctica is a vital benchmark that provides practical clues concerning how future generations can reverse the damage to the Earth caused by human activity. The gathering sense of danger, the fear that the continent could be reduced to a terra nullius is linked, secondly, to a fundamental question: do governing arrangements in Antarctica imply the possible redefinition of democracy, so that descriptively speaking it comes to mean a form of life and a way of rendering power publicly accountable by means of institutions in which humans and their biosphere are treated symmetrically, as equals, as interdependent `actants‘ (Latour), in opposition to the still-dominant view that humans are the pinnacle of creation, `the people’ who are the ultimate source of sovereign power and authority on Earth? Third: how durable and significant are the monitory mechanisms that operate in and around the continent, bodies that range from public declarations, conciliation and arbitration mechanisms, International Polar Year programs, youth ambassador schemes, law panels and councils of scientific experts through to NGO information networks such as the Antarctic and Southern Ocean Coalition (ASOC) and radical direct-action, media-intensive initiatives like the Sea Shepherd Conservation Society (SSCS)? 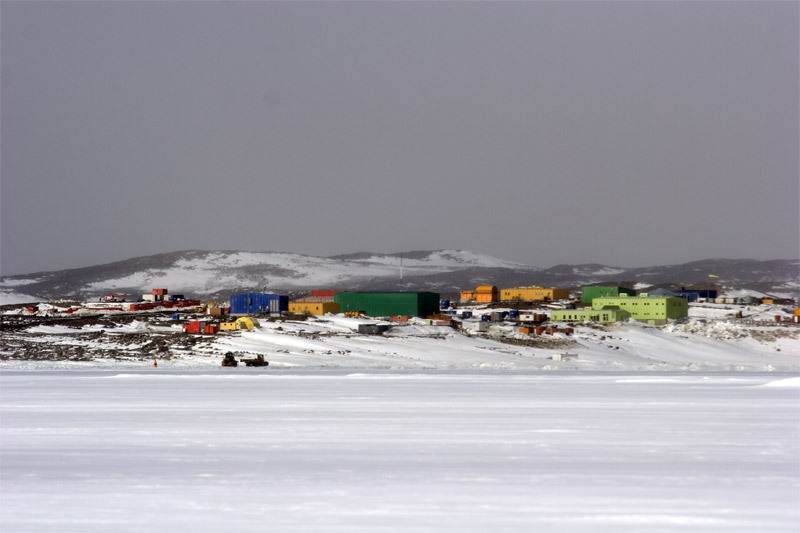 Fourth: the Antarctic Treaty System is the first-ever binding international treaty to acknowledge the central role of scientists in matters of government. Did this agreement have the long-term effect of legitimating their role as `watchdogs’ of human power and `guardian’ representatives of the biosphere, so contributing in a major way to the redefinition and `democratisation’ of expertise? Might Antarctica’s scientists be thought of as citizens? What exactly are the political roles performed by organisations such as the Scientific Committee on Antarctic Research (SCAR), a global body charged with providing independent scientific advice to the Antarctic Treaty System? Finally, what is the long-term political significance of the signing of the Antarctic Treaty and the fact that Antarctica subsequently became the first continent to move beyond the modern doctrine of the sovereign territorial state, so that today it is encased within a tangle of supranational structures (such as a permanent Secretariat and multilateral legal networks) whose regulatory powers far exceed what was originally envisaged? Public relevance: The symposium will seek to make new sense of Antarctica as a political space, but it will also target the key issue of whether its existing political arrangements can take advantage of the opportunities and survive the worrying challenges of the twenty-first century. The challenges are plain. Some examples: the Madrid Protocol bans all forms of mining until 2048 yet the continent remains vulnerable to corporate market pressures. The local ozone hole still grows in size; glacier outflow rates in West Antarctica are on the rise; tourism has become a big business; and conflicting practices, laws and jurisdictions are hampering efforts to deal effectively with such issues as bio-prospecting. There are complaints that the existing governing institutions of Antarctica are insufficiently representative of different social and political interests. There are concerns that states exercise too much influence; and there are calls for giving greater voice to civil society organisations and networks in the local governing arrangements. The symposium will engage each of these developments in order to draw policy-relevant recommendations.